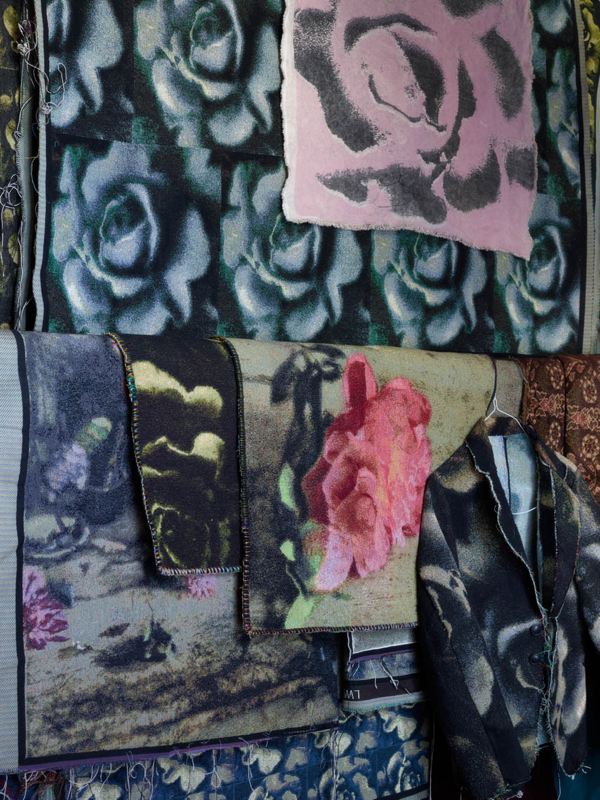 Martyn Thompson, fashion and interiors photographer, has recently launched a collection of textiles and wallpaper dubbed "Cezanne's Shadow", initially inspired by a visit to Cezanne's "The Vase of Tulips" in the collection of the Art Institute of Chicago. Of course the painting is beautiful but it is easy to see that it was merely a launching pad for Thompson's new collection which simply bursts forth with a sensuality that feels both old and new all at once. Each design began life as a photograph before it was translated into fabric or wallpaper. Different transformation methods were used. Sometimes the image was translated digitally and others where created more traditionally using handworked methods or a Jacquard loom. However created, each piece has an overripe lusciousness that is the perfect antidote to winter's chill. Simply dreamy. 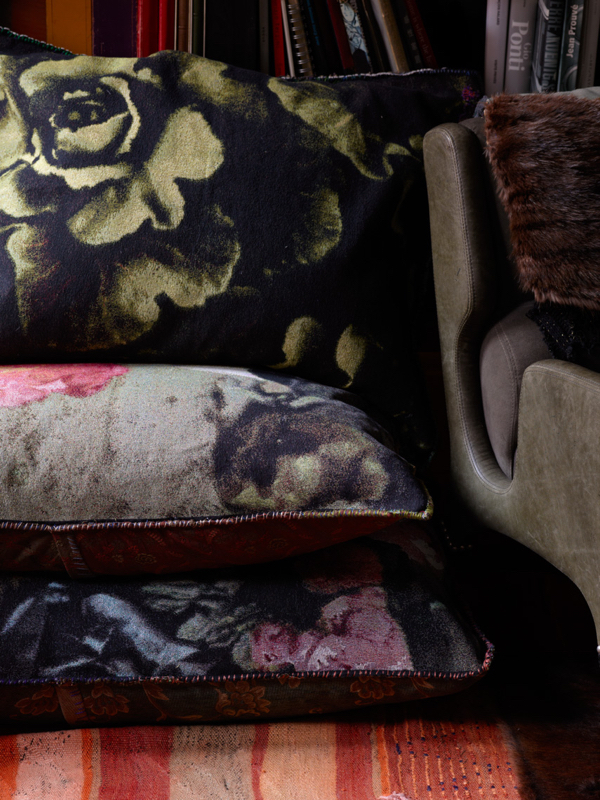 Fabric, wallpaper and custom furniture are available to the trade through Thompson's website. 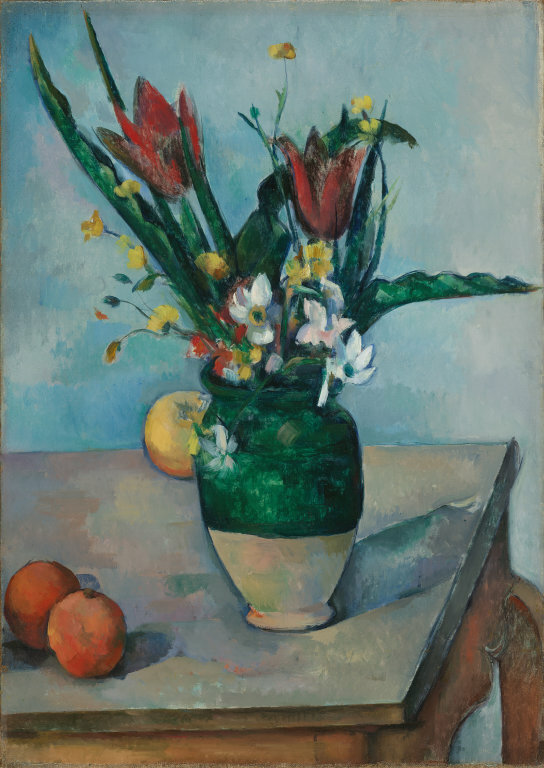 All photos from Thompson's website, except for the image of Cezanne's painting which came from the Art Institute of Chicago.